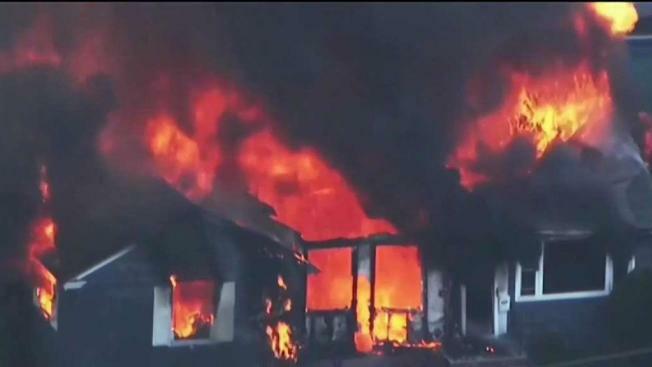 People in Merrimack Valley are still trying to get back to normalcy after the gas fires and explosions that rocked the area. Hundreds of people began to make line to file loss claims since Sunday, but many were turned away because of the high volume. Dozens of families were given red tickets and ordered to return Tuesday. Victims were given gift cards that valued from $100 to $300, depending on the household size, for food. 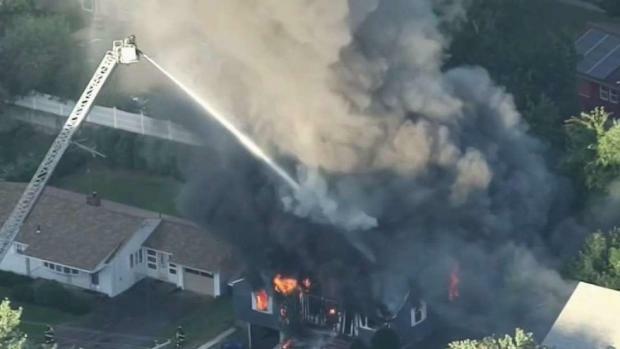 Frustrated Merrimack Valley residents are continuing efforts to file damage and loss claims with Columbia Gas, the company believed to be responsible for the deadly natural gas explosions that displaced thousands of people. Since Sunday, thousands of families have lined up for hours to file claims in person at Lawrence High School. On Tuesday, those same families were set to wait at 1 Market St.
Elisa Jacome, of Lawrence, waited an hour and a half on Monday for the chance to speak with a claims adjuster. "We lost all of our goods, so I had to throw out everything and then eating out every day for a family of four is costly," said Jacome. 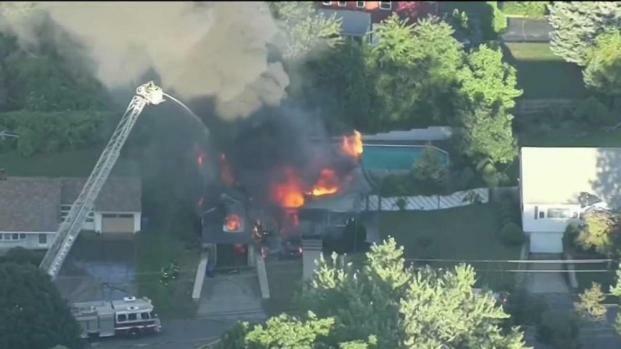 Residents of Merrimack Valley impacted by the series of gas explosions are continuing to try to get help. Thousands of Columbia Gas customers ready to make their claims were turned away and told to return the following day since Sunday. The gas company started a ticketing system that allows families to return to the line. Those who waited on Sunday were given red tickets to return Tuesday. Families who filed claims in person were able to walk out with a gift card that ranged from $100 to $300 for food. They were also able to file claims for medicine, property and work hours. A single person household received a $100 gift card for the week for food while a family of four or under was given $200. Households with more than four family members were given $300. Jacome was one of those expected to get a red ticket to help jump-start the recovery process. Those waiting in line were understandably frustrated. "Everything is a waiting game," said Emil Couture, of Lawrence. "Hurry up and wait. When I got here, there was eight people in front of me. They had us move the line from there to over here, now there's 50 people in front of me." Massachusetts Gov. Charlie Baker and Lawrence Mayor Dan Rivera discussed the investigation into last week's gas explosions in Merrimack Valley. With school now back in session, things are a bit closer to getting back to normal. "It helps with the process because at least they're somewhere safe while you have to take care of what you have to do over here," said Jacome, speaking of her children. Claims can be filed at 1 Market St. in Lawrence from 9 a.m. to 9 p.m. Tuesday and from 10 a.m. to 8 p.m. Wednesday.